What’s scarier than a serial killer prowling around your town? Not knowing what he looks like or where he’ll strike next. In Graham Masterton’s paranormal gut-churner, The Devil in Gray, the residents of Richmond, Virginia, are being picked off one-by-one by some unseen force—a serial killer with a brutal penchant for mutilation. There are no witnesses aside from a young girl who calls him the “so-scary man.” In essence, the killer is a man—or thing—that no one’s ever seen. Not even his victims. Masterton, a gifted horror writer, spins a terrifying and breathtaking tale that will have you wishing you could see what’s coming next. He eased himself down the stepladder, holding his arm upright to relieve the pumping of his circulation. All the same the cloth was already soaked a dark crimson and drops of blood were pattering across the bare-boarded floor. The piece of wallpaper slid drunkenly sideways and then dropped down by his feet. “I don’t know … I was just trimming the top edge. I didn’t even feel anything. She took hold of his hand and unwound the cloth. The cut in his arm was far more than an accidental nick—it was the kind of cut that a determined suicide would make, and blood was welling out of it relentlessly. Alison dabbed at it, but it was bleeding faster and faster, and in less than a minute her tea towel was drenched red, too. She took off her apron and bundled it into a pad. She opened the kitchen closet and pulled out five or six clean tea towels, dropping even more of them onto the floor. As she bent to pick them up, she heard Jerry say, “Ah!” as if something had surprised him. She turned around, and to her horror saw that he had a deep horizontal cut on his face, starting from a quarter of an inch beneath his left eye, across his cheek, and into his ear, so that his earlobe was dangling from a single shred of skin. Blood was streaming down his chin and spattering his shirt-collar. He was so stunned that all he could do was shake his head from side to side, so that droplets of blood flew across the tabletop. She pried open his left hand, sticky with blood, but it was empty, and he wasn’t holding anything in his right hand, either. She looked on the floor, but there was no sign of his knife anywhere. How could he have cut himself, without a knife? She lifted the tea towel away from his face for a moment and she could see that the cut under his eye was so deep that it had exposed the yellow fat of his cheek and his cheekbone. “Oh, sweetheart, what have you done?” she sobbed. There was so much blood in the kitchen that it looked as if they had been having a paint fight. But now she could hear the yip-yip-yipping of the ambulance siren, only two or three blocks away. Jerry rolled his eyes up and stared at her. He was shivering, and he had the numb, desperate expression of somebody who knows that they are not very far from death. 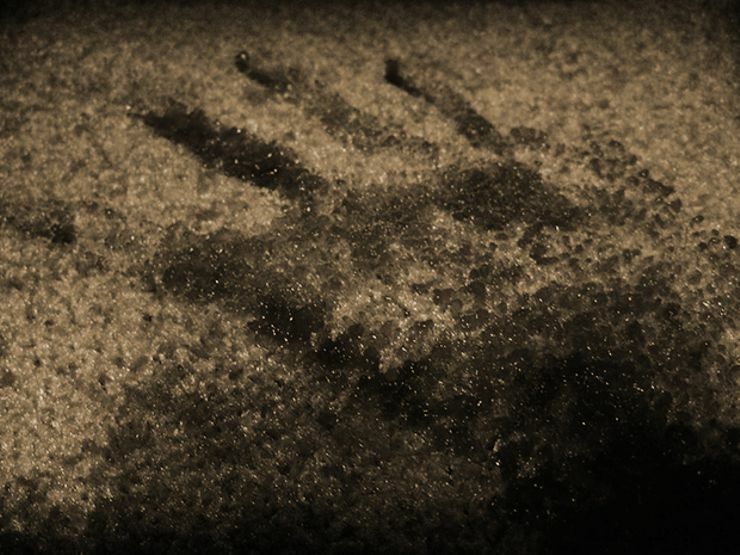 Jerry had never felt so cold in his life—a dead, terrible, all-pervasive cold that was creeping into his mind and into his body and gradually freezing his soul. A few minutes ago the kitchen had been dazzling with afternoon sunlight, but now it seemed to be dimming, and all the colors were fading to gray. “It’s getting so dark,” he said, and his voice was thick with shock. The door chimes rang. Alison said, “Hold on, sweetheart. The paramedics are here.” She stood up and started to walk toward the hallway. Jerry thought, Please, God, let me survive. I have to survive, for Alison’s sake, for the baby’s sake. They already knew that she was going to be a girl, and they’d already chosen the name Jemima. 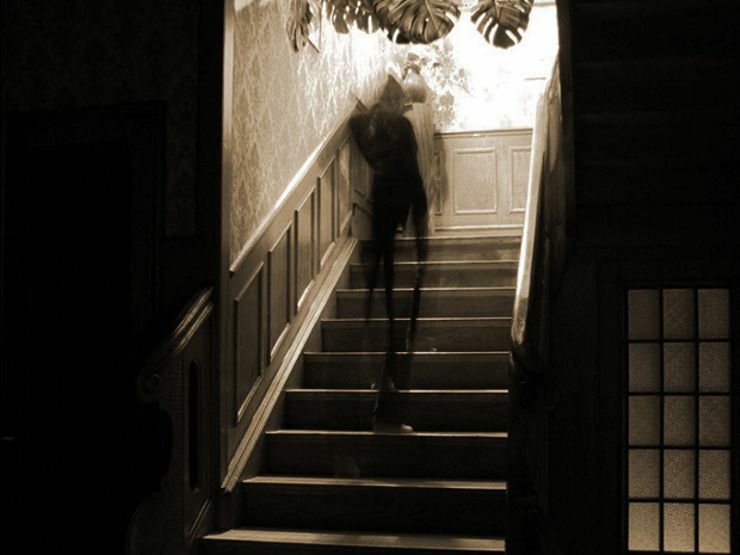 Alison reached the hallway, but as she did so she unexpectedly stopped. Jerry stared at her, willing her to move, willing her to answer the door, but she didn’t. She stayed where she was, in the colorless gloom; and she was swaying, like a woman who has suddenly remembered something dreadful. She tilted—and then, in a succession of impossibly choreographed movements, like a mad ballet dancer, arms waving, knees collapsing, she began to fall to the floor. As she did so, she pirouetted on one heel, so that she turned back to face him. Her eyes were staring at him in amazement. For a moment Jerry couldn’t understand what had happened to her. But then her head dropped back as if it were attached to her body on nothing but a hinge. Her throat had been cut so deeply that she had almost been beheaded, and blood suddenly jumped up from her carotid artery and sprayed against the ceiling. A minute later, when the paramedics kicked the front door open, they found Alison lying on her back in a treacle-colored pool of blood, and Jerry crouched down next to her, whimpering and whispering and trying with sticky hands to fit her head back onto her neck. Want to keep reading? 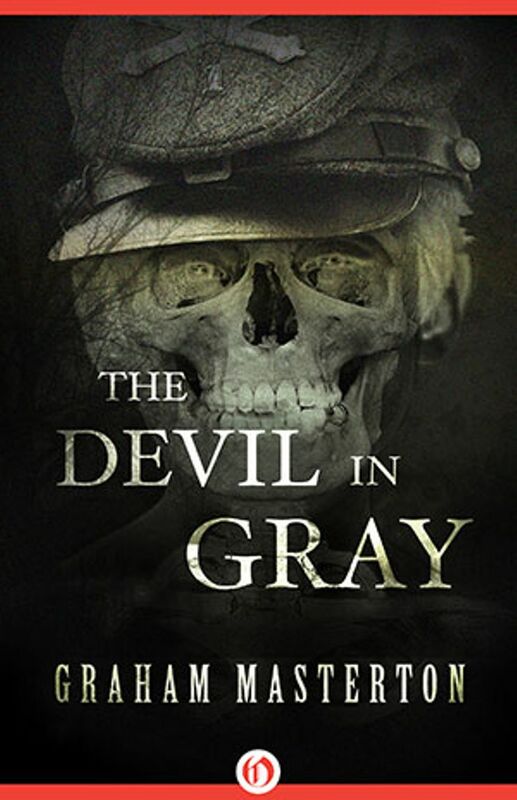 Download The Devil in Gray, on Amazon, Barnes & Noble, and iTunes.